Tammam Azzam is featured in the expansive exhibition Syria: A Living History, an historical survey co-curated by art historians Filiz Çakır Phillip and Nasser Rabat for the Aga Khan Museum of Islamic art in Toronto, Canada. Azzam is part of a handful of contemporary artists that are included in the exhibition, which covers centuries of art and visual culture dating back to ancient times. Syria: A Living History seeks to educate viewers through artworks and artifacts that testify to the country’s enduring historical and cultural legacies. 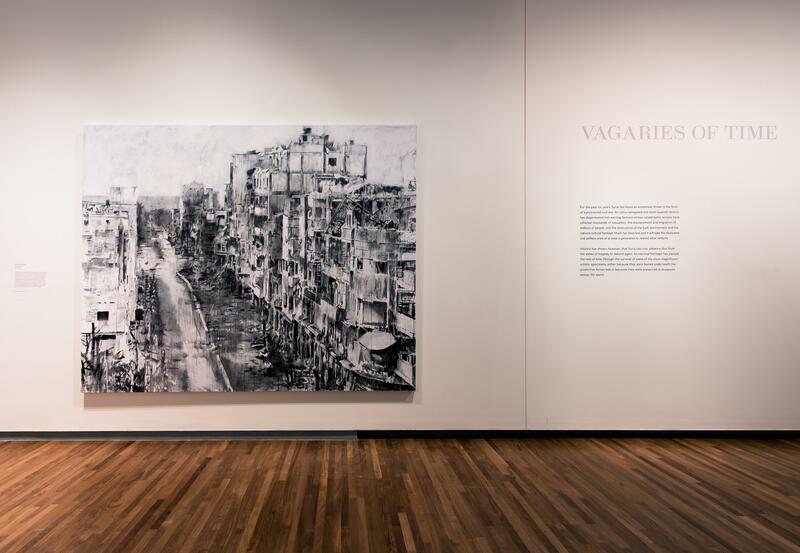 Image: Installation view, Syria: A Living History. Photo courtesy of the Aga Khan Museum.